Hey guys! I'm so excited to bring another featured artist to this blog. Nanshins makeup is so badass and I'm happy to claim her as my friend anywhere with those looks :D You guys would love this post because I also learned a few things that I never even knew! The use of primer cannot be over emphasized. Before i became a mua, i thought primer wasn't a necessity but a luxury. Little did I know it was important as your brows! Trust me girl! You don't want your flawless makeup running over after 2hrs because it has no base to hold on to. By the way, primers aren't for just people with oily skin. There are moisturizing primers for people with dry skin, mattifying primers oily skin, while combination skin uses both moisturizing and mattifying primers, you use the moisturizer all over your face and the mattifiyer on your T-zone. It's a popular notion that pumping your mascara gives you more product. Please DON'T do that! pumping your mascara only allows air into the tube, making the mascara dry out fast. Instead, just pull the wand softly from the tube. Thhat way, you get enough product and your makeup doesnt dry up and if you like to do extra, you can always go for an extra coat! But trust me on not pumping that mascara girl! You don't want to be buying a new mascara every other day. 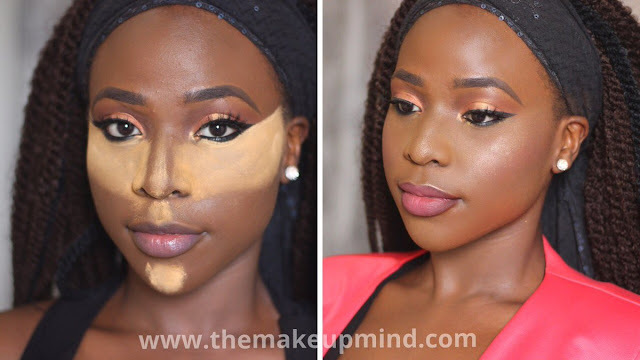 I know most of you are saying "abeg that is just extra activity" the truth is if you must wear makeup... You want to wear it right, you dont want to end up looking like a clown, even clowns wear their makeup right these days! So yeah not defining your lips with either your foundation or your shade of concealer just makes the lipstick bleed. Before you know it you see your Ruby woo somewhere around your cheeks fighting for space with your blush LOL! To avoid that, all you have to do is go over your lips with your shade of concealer or preferably the foundation you used all over your face (as this would blend in better) to define the lips. This brings out the shape of your lip and stops your lipstick from bleeding. We all want to get our eyebrows on the highest level of fleek possible... Lol. But you dont have to make them extremely thin before they look good. Making your brows extremly thin makes you look older and i'm not saying they should be too thick. Just try to make your eyebrows suit your face, we all have different face types, what works for Miss A might not work for you. So understand your face type and shape your eyebrows in a style that works for you. And trust me we all have our "no makeup days" you dont want to end up looking like a scare crow when you dont have makeup on because your brows are too thin. 5. WEARING THE WRONG SHADE OF FOUNDATION! I chose to talk about this last because its something we are all guilty about!. I still make that mistake sometimes. Ladies please your foundation is supposed to match your neck and your chest area! Most times, we just buy a foundation colour that suites our face neglecting the neck, and then we end up looking like a ying yang (means black & white). When next you go makeup shopping try on the different shades on your neck, the one that blends in better, is the shade you should take home. Sometimes the foundation is actually your shade, but the wrong application makes it look different from your neck. In those cases, you should avoid using a lot the foundation. Trust me, a little goes a long way. Then make sure you blend it into your neck and your hairline for that uniform complexion. P.S Ladies, never go to bed at night with your makeup on. Make sure to wash your face(no i dint say wipe). Going to bed with your makeup makes your skin break out and we all want that flawless skin i guess. Can she start youtube tutorials on how she does her make-up already? !...arghh..always so perfect..and her edges..yea,I stalk her insta regularly! I'm guilty of not defining my lips but then I'm no makeup expert. I learnt a lot from this post though. Thank you! !